Wash, shell and butterfly the shrimps. Place them in a row in a pan. 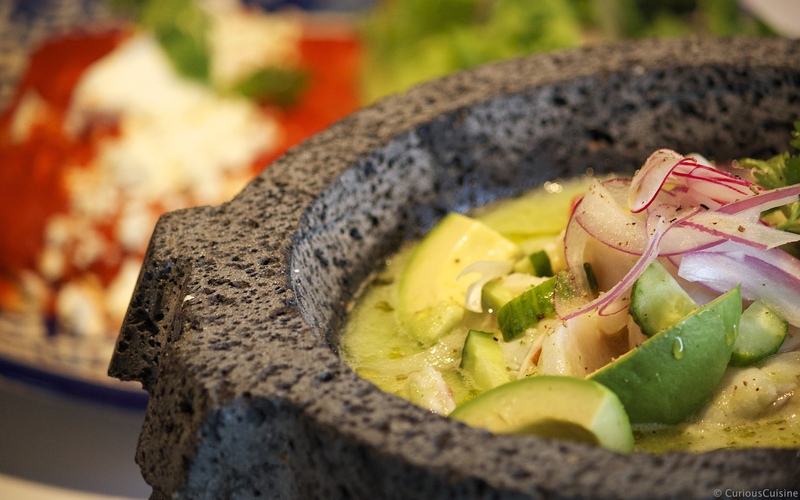 Grind the lime juice (without seeds), the coriander (already washed), the chiles de arbol, and salt to taste, until everything becomes a liquid green sauce. Cover the shrimps with the sauce and marinate for 30-45 minutes (the shrimps should turn a color between orange and white). Peel and slice the cucumber and avocado. These will serve as the “canvas” for the shrimps. Serve with tostadas.